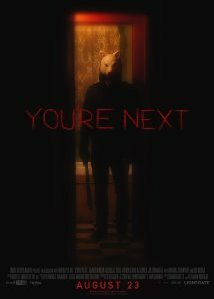 One of the good things about running your own independent horror / genre websites is that you sometimes get sneak peeks at things that are not yet released. 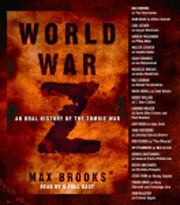 Well, one of the best things we’ve received recently is the book World War Z by Max Brooks, the author of The Zombie Survival Guide, which is due to be released on September 12th. Both Jim and myself are currently about two-thirds of the way through the book, and we’re both hugely gripped by the concept, the story and the way it has been written. 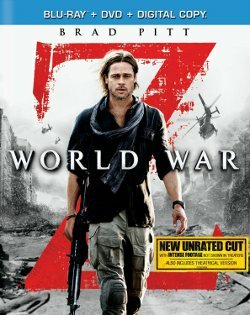 World War Z is a very intelligent ‘first-hand account’ of a Zombie War that threatens mankind, as told by both civilian and military survivors during the aftermath and comes with a huge eatmybrains thumb of approval. 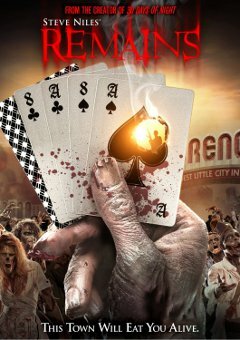 The book will be released on September 12th and we strongly recommend you pick up a copy if you’re at all remotely interested in zombies. And if that wasn’t enough, we’ve now just heard that there will also be an audio version of the book available, with a cast list that includes Max Brooks himself (as the interviewer), John Turturro, Jurgen Prochnow, Henry Rollins, Mark Hamill, Alan Alda and Carl and Rob Reiner! Wow – now that’s a cast list to die for! Look out for our full review of the book, plus and interview with the author Max Brooks (he's the son of Mel don't you know!) coming soon. Survivors of a zombie outbreak argue amongst themselves. Not as much fun as it sounds.